This knitting news is all over the press as 65 year old Mr perkins aims to knit 1000 hats for community groups. 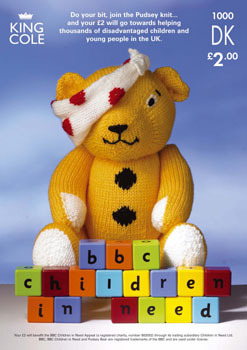 All proceeds from the sales of these patterns go towards disadvantage children in need. Knit For kidsÂ Is a charity knitting sweaters for children all over the world. Rita from Craftbits.com is embarking on yet another charity program. This time she is setting out to make 5000 gummy jelly babies for charity.